Emeril is the man when it comes to kickin’ it up a notch! 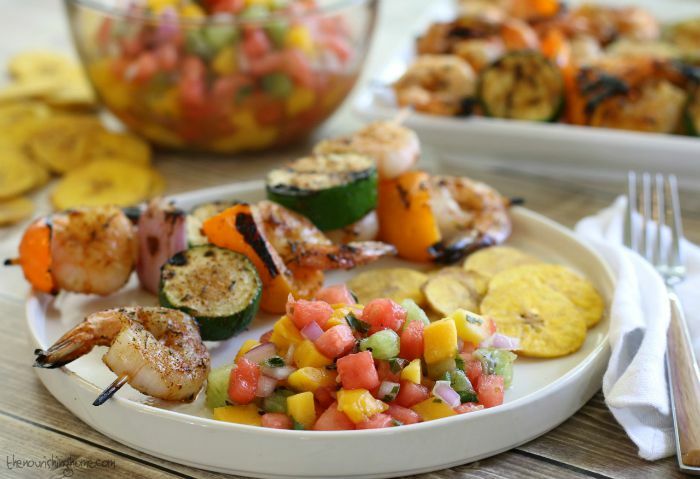 That’s why I LOVE using a homemade version of Emeril’s Essence to make these delicious Grilled Shrimp Kabobs. This easy-to-make seasoning blend is also terrific on grilled chicken, fish and veggies. BAM! Your favorite organic veggies, cut into chunks, such as: zucchini, bell peppers, onion, mushrooms, etc. Preheat grill to medium heat. Pat dry shrimp. Combine homemade seasoning blend and olive oil. 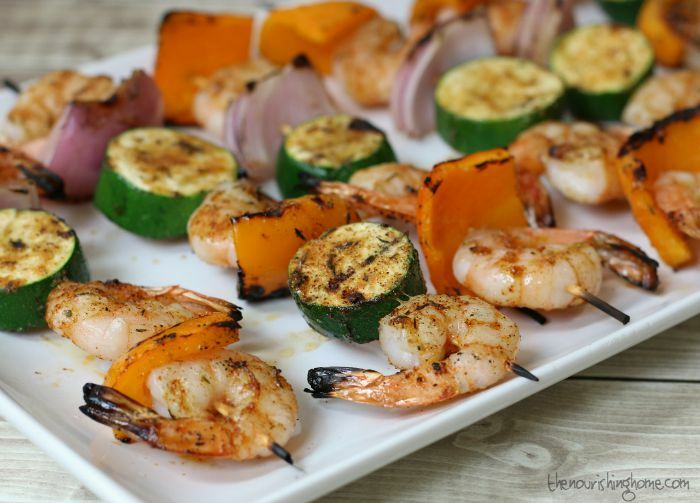 Assemble kabobs by threading on the shrimp and veggies in alternating patterns. Brush kabobs with seasoning-olive oil mixture on both sides. Lightly sprinkle with sea salt. Serve over veggie cauli rice or with a side of watermelon salsa. Delish!